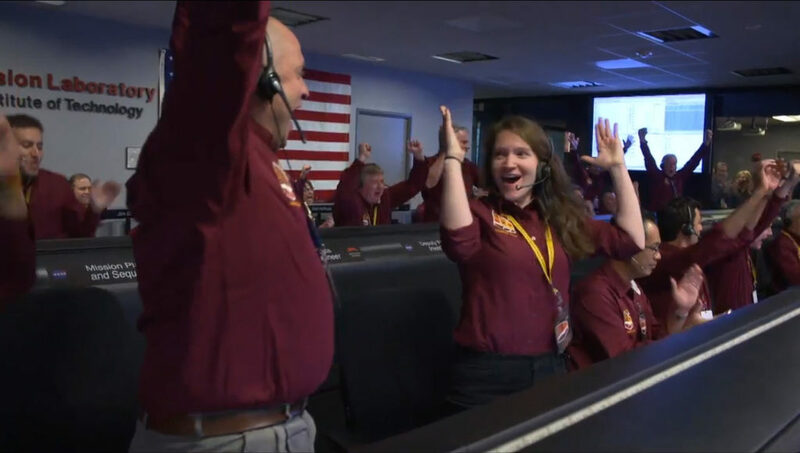 Mission controllers at NASA-JPL have received a signal from NASA’s InSight lander on the Mars surface via MarCO OR a beep from InSight’s X-band radio. In the coming hours, engineers will be checking on the spacecraft’s health. A post-landing news briefing expected at 2 p.m. PST (5 p.m. EST).